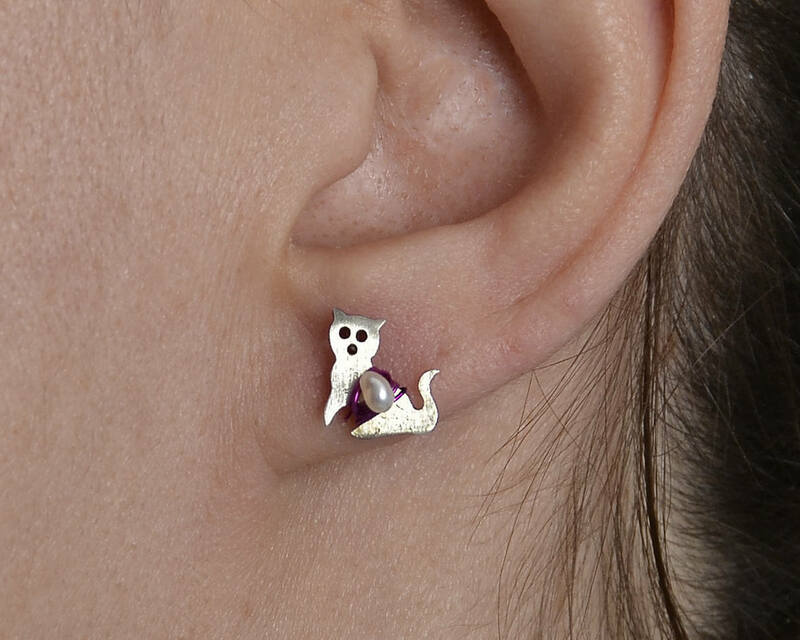 Small cat silver earring. 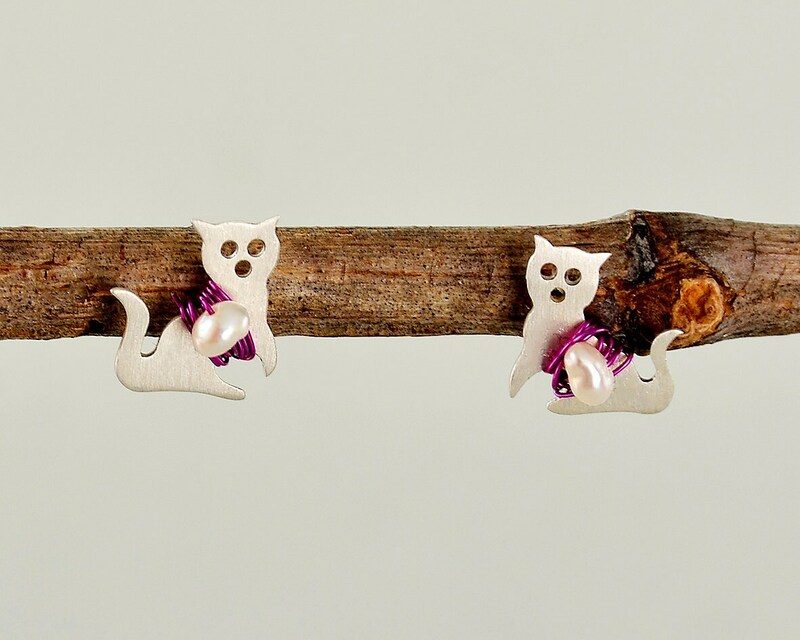 If you are looking for beaded animal jewelry , these handmade tiny Kitty Studs are a great choice. Designed in a sterling silver sheet, cut, polished and adorned by hand. •	Matte sterling silver earrings . 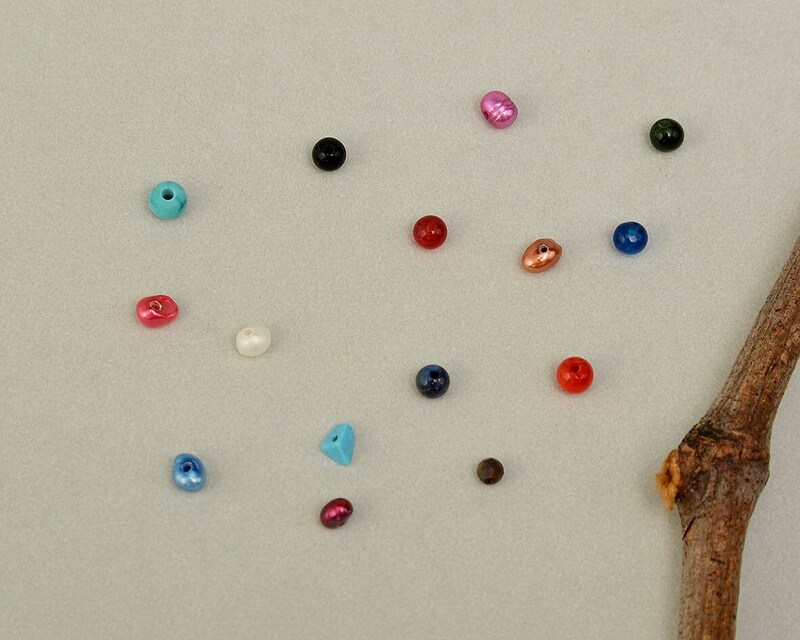 •	Semiprecious stones: small white fresh water pearl or select your preferred semiprecious stone on the drop down menu . 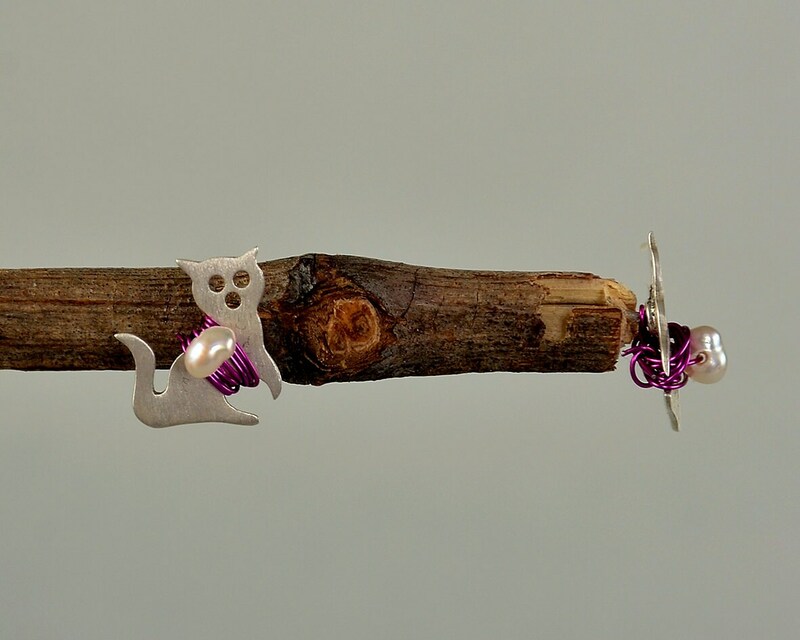 •	Pink or silver wire. Select your preferred wire color on the drop down menu.